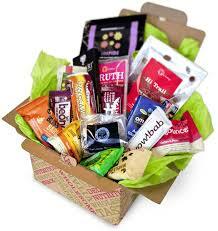 The Nutribox is a subscription service providing boxes of healthy snacks to individual and corporate customers. We want to make it easier for people to eat more healthily so we deliver snacks to the home or office door. We choose our snacks based on how they taste (every snack has to pass our taste test) and three criteria – they are healthier alternatives to traditional snacks, or they’ve been made in such a way that their ingredients maintain their nutritional content, and none of them contain any hidden nasties, the ingredients you can’t pronounce and wouldn’t find in your own kitchen. Based in Sheffield, The Nutribox supports local athletes including paralympian fencer Craig McCann and the UK’s number 1 freestyle mogul skier, Ellie Koyander. Following on from the successful launch of The Nutribox earlier this year, the company has expanded its range, launching a vegan version and now adding a Sports Nutrition box to their range. After a series of sterling performances from British sports stars, from Andy Murray’s emotional Wimbledon triumph, to Mo Farah’s middle distance mastery in Moscow through to a swashbuckling Ashes win, wherever you look there have been great performances to inspire us all. Whether you’re an elite athlete or an enthusiastic amateur, finding healthy snacks to fuel training and recovery can be difficult – particularly when so much of the sports snack market is geared up to be high calorie but doesn’t always lose the ingredients you don’t want, like trans fats. It can also be challenging to find gluten free and vegan sports snacks. The healthy snacks delivered in the new Sports Nutrition Nutribox are different – made from raw ingredients like nuts, seeds and dried fruits to maintain maximum nutritional value. The Nutribox snacks are made from gluten free ingredients and most are suitable for vegans. The Sports Nutrition Nutribox is available to buy from the 1st September, but interested sports people should sign up now to get a special discount code for 30% off their first special Sports box for 30 days only.